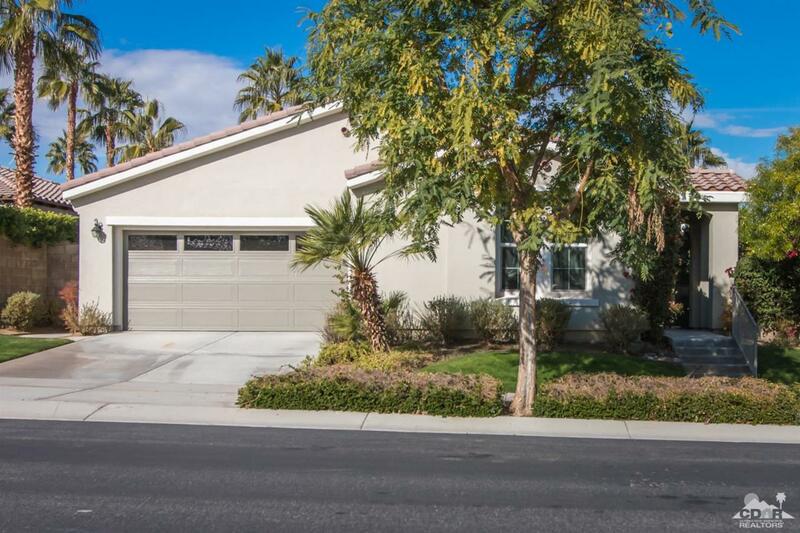 Inviting Oasis plan, with attached casita, and great proximity to all Santa Rosa Clubhouse amenities. 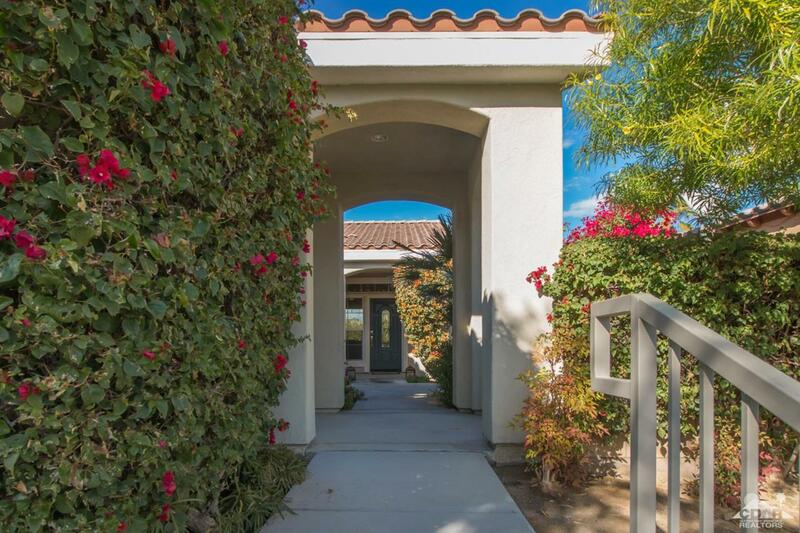 This Trilogy La Quinta single-story residence includes a custom paint scheme, 3 bedrooms/3 baths, 1,835sqft. of living space on a 7,000sqft. lot. Up the front steps to the formal entry, with transom window, leads you to the great room with hardwood floors, entertainment center niche, custom window coverings and ample windows with rear views. Chef's kitchen boasts granite counters/backsplash, double ovens, prep island, built-in microwave and gas cooktop. Separate laundry room just off the 2 car garage that has A/C and storage units. Main house & casita (w/en suite bath) guest quarters afford your company privacy and comfort. 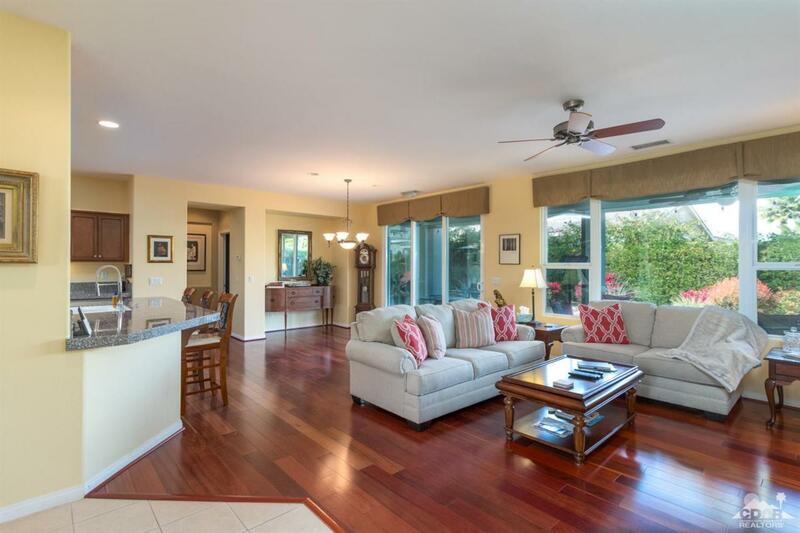 Master retreat w/private bathroom, dual vanity, walk-in closet, large shower w/bench and sliding door for rear access. Covered loggia, misting system, water feature and mature landscaping complete this private, serene area to entertain all your friends and family.